Upcoming news and events for the Kharma Family. The Kharma Family team and volunteers will be traveling to Tambon Mae Tuen to strengthen the infrastructure of 4 public schools, build mushroom shelters and animal fences, organize school activities, and offer donations. The Kharma Family team has travelled to different areas in Lopburi to help out with various school constructions while making donations and organizing activities with the children. We’ve also visited a children’s shelter in Chiang Rai where we donated personal and school supplies and are planning to help with the shelter’s construction as soon as possible. 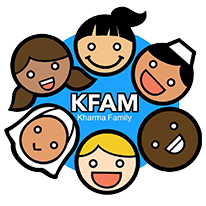 The Kharma Family Volunteers will be travelling to Pattani for the KFAM16 field project. Here we will be helping local schools to improve their infrastructure while making donations and having activities with the children. The Kharma Family Volunteers were on-site in Pattani for the KFAM15 field project. The Kharma Family has joined forces with Pronto Marketing, a Bangkok based company that builds and hosts international websites. Their team has kindly stepped in to create the new Kharma Family website. Some of the members of the Pronto team will also be joining our KFAM15 trip to Pattani. It's great to have them on board. Construction of classrooms, shelters, animal fences, etc. Distribution of study materials, sports equipment, and other school items as well as personal articles such as underwear, towels, pillows, toothbrushes, etc. Distribution of study materials, sports equipment, and personal items such as stationery, underwear, towels, detergents, etc. Construction of classrooms, kitchens, playgrounds etc. Distribution of study materials, sports equipment and books as well as personal items such as stationary underwear, towels, pillows, toothbrush, detergent, soaps, etc. Group activities including basic vocational training. If you'd like to be a part of this worthy trip, please volunteer and join the Karma Family today.